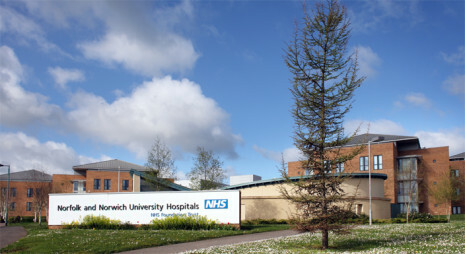 The Norfolk and Norwich University Hospitals NHS Foundation Trust (NNUH) is one of the largest NHS trusts in the United Kingdom and provides first-class acute and specialist services. The job of the hospitals run by the Norfolk and Norwich University Hospitals NHS Foundation Trust is to provide the best possible acute hospital care for a tertiary catchment area of up to one million people. Acute hospital care means specialist care for patients who need treatment for serious conditions that cannot be dealt with by health service staff working in the community.